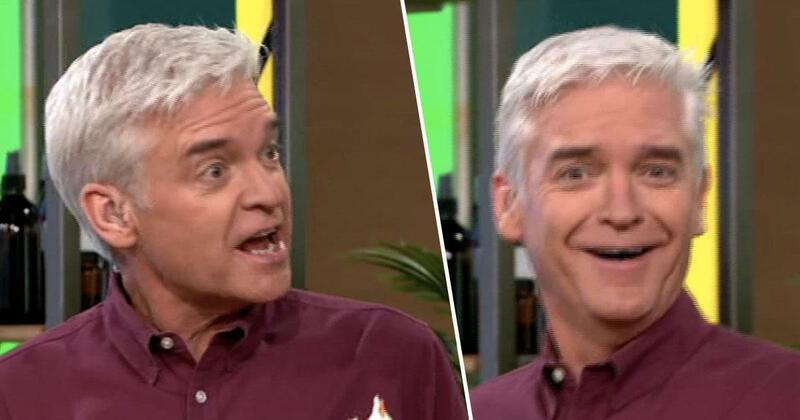 Silver fox and daytime TV dreamboat Philip Schofield had a bit of a panic on This Morning this morning, January 17, after he and fellow host Holly Willoughby tried some cannabis-based products. Philip and Holly were hosting a segment on the health benefits of CBD – cannabidiol – infused edible products. There were lip balms, beers, gummy sweets and croissants among the CBD products, which the presenters were happily tucking into under the assumption that, of course, there would be no psychoactive effects from the CBD. Alice Beer was also presenting the segment and, after Phil had eaten a croissant with 5mgs of CBD in it, as well as a marshmallow, she revealed that the sweet had affected her when she tried one the night before. Sounds like a normal night to me, but whatever. Philip, obviously worried his own rain-soaked selfies will go viral – why would they not?! – seem concerned the cannabis-based food he’d just eaten would then have a detrimental effect on the rest of his day. I have a really, really busy afternoon. I’ve tasted it all! I reckon he will as well, not because of the CBD or anything, but – being Philip Schofield – how could Philip Schofield ever have a bad afternoon? I just can’t imagine it. Eating some of chef Phil Vickery’s chicken soup later in the show, Schofield wondered if the CBD was still having an effect on him, maybe it made the soup taste better, who knows. As ever with Holly and Phil though, you can chalk this one up as just another everyday experience for the daytime TV hosts. Neither of them are strangers to living a little dangerously, with a picture of Phil’s plate of ‘cocaine’, going viral recently. As well as Holly’s hilarious drunken phone call to her presenting pal. Like I said, being Philip Schofield – or, in fact, any This Morning presenter – how could you not have a good afternoon?